To encourage excellent education in the arts and aesthetics free of charge from an early age on the basis of the exchange of skills, knowledge and experience in artistic production with peers and professionals working in the sphere of contemporary Argentine art. To encourage ethical and humanistic education that values cultural differencesand promotes equally opportunities on the social and economic levels. To develop an array of programs aimed at comprehensive education in contemporary art for young people between the ages of 15 and 25. Participants must be underprivileged residents of Argentina with outstanding talent and commitment to the arts. Our programs are geared towards intensive training and excellent production on the basis of the formation of solid groups of peers that support one another and respect the learning environment. 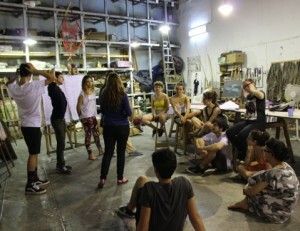 We offer a unique experience to study, produce and experiment together through an exchange with artists widely recognized and experienced in Argentina and abroad. Education Program. The mission of this program is to grant scholarships to a group of young people between the ages of 15 and 18. 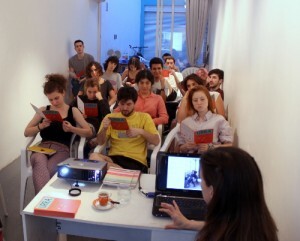 In an 18-month program of classes given by a staff of prestigious contemporary artists from Argentina, the selected individuals are provided with a basic education in the visual arts free of charge. The program includes workshops, materials, theory classes, visits to museums and/or cultural centers, meetings with professionals working in the art scene and the chance to further their education as graduates once their term at the program has come to an end. Extension Program. This program offers extracurricular educational experiences free of charge to current students and graduates, as well as other interested members of the general public. It is organized into four sections: Encounters with Guests, Courses in New Technologies, Follow-up Meetings, andActivities in the Community.